MSNBC's prime time lineup is on a ratings roll right now -- but the channel's 10 p.m. host Lawrence O'Donnell may be leaving in three weeks. O'Donnell and MSNBC have not yet struck a new deal despite the fact that the current one ends early next month -- a highly unusual situation in the television news business. Word about O'Donnell's uncertain status leaked out over the weekend. On Wednesday morning O'Donnell confirmed it through a tweet: "Contract expires June 4. I'll let you know where you can watch me June 5 if it's not msnbc. I'm sorry this situation has become public." Asked to respond, an MSNBC spokesman said "negotiations are ongoing" and the goal is to renew O'Donnell's contract. Earlier in the week, executives said negotiations were underway while people close to O'Donnell said they were not. So it's unclear what is going on. O'Donnell's representatives may be angling for a more lucrative deal or for a chance to jump to another network. MSNBC's negotiators may be trying to extract various concessions, like a annual lower salary than O'Donnell wants. 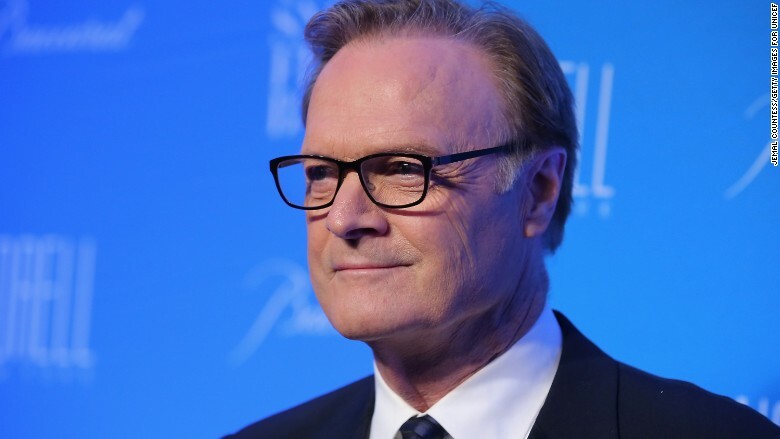 "Lawrence O'Donnell, host of MSNBC's 'The Last Word,' has just four weeks left in his contract, and the cable network does not appear to be interested in renewing his deal," Yashar Ali wrote for HuffPost on Sunday. He cited "four well-placed sources" to say that "MSNBC has not been in contact with O'Donnell's team of representatives to negotiate a new deal." The story also said that there was a behind-the-scenes dispute about an attempt to move O'Donnell's show from 10 p.m. to 6 p.m.
O'Donnell, a Capitol Hill insider turned television producer turned cable news host, has been the host of "The Last Word" on MSNBC for about seven years. The show is highly rated, partly thanks to a strong lead-in from MSNBC's 9 p.m. host Rachel Maddow. Last week he tweeted about a particularly highly-rated episode and said "Thanks for your support. We need it." O'Donnell has also been sharing supportive messages from fans who are concerned he might be leaving the network. With rumors swirling on social media, Maddow very publicly backed O'Donnell on Tuesday night. "I consider us a team," Maddow said on the air.